It's Halloween on Friday and I'm scrambling to finish up costumes and make up some treats for Chloe's school party. 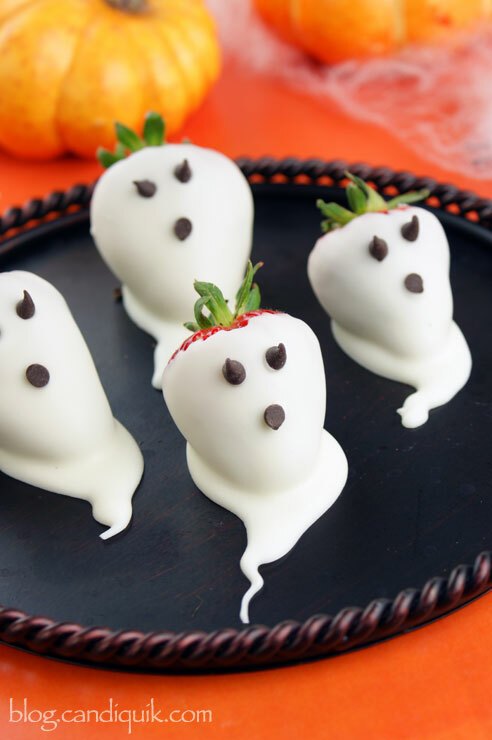 You know me, I love a themed party so the treats have to look appropriately spooky but quick and easy too. No time to waste - I've still got pumpkins to carve! I've been fixated with homemade popcorn recently (my topping of choice: garlic powder and shaved gruyere cheese. Yum!!) 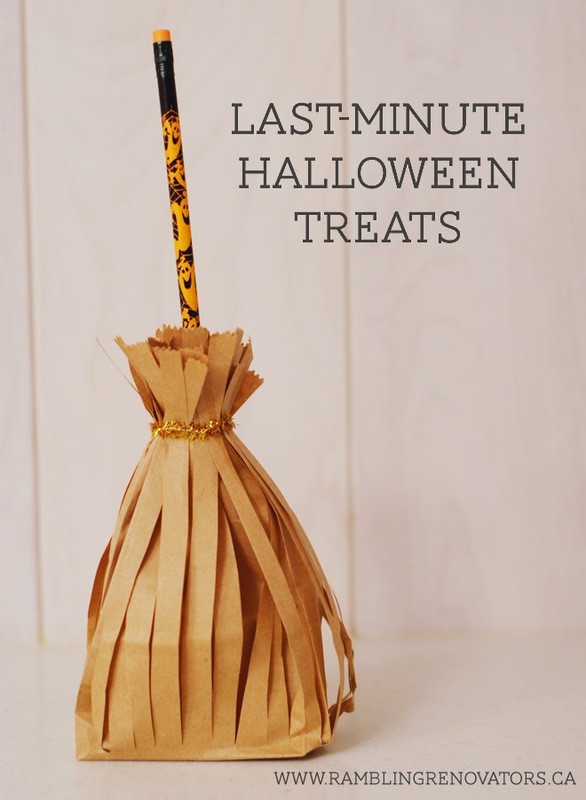 so I'll be making batches of it and wrapping them up in these witch's broom treat bags, above. Aren't they cute? I used Martha's tutorial but used glitter pipe cleaner to bind the bag and a Halloween pencil as the broom handle. 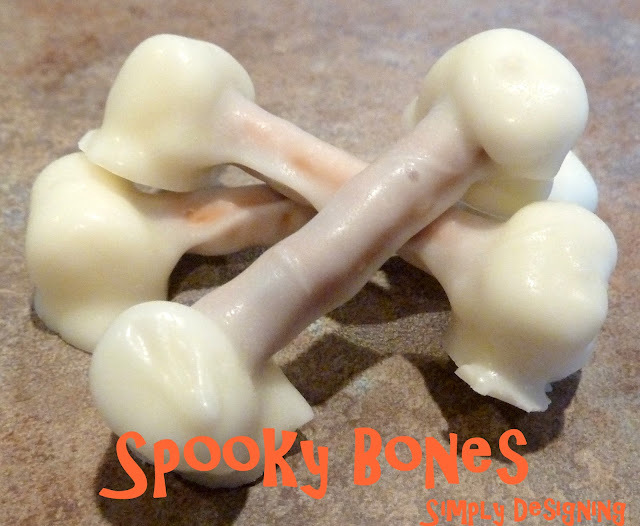 If you're looking for last-minute Halloween treats, here's a few that little monsters are sure to enjoy.